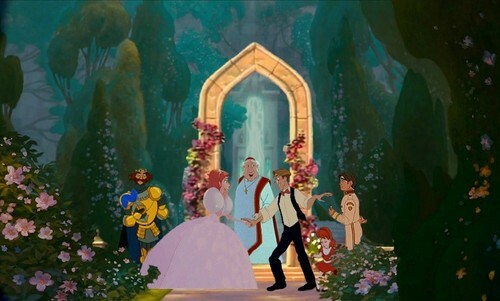 Milo & Giselle's Wedding. . HD Wallpaper and background images in the croisements Disney club tagged: crossover disney swan princess enchanted atlantis treasure planet oliver & company hunchback of notre dame princess and the frog.